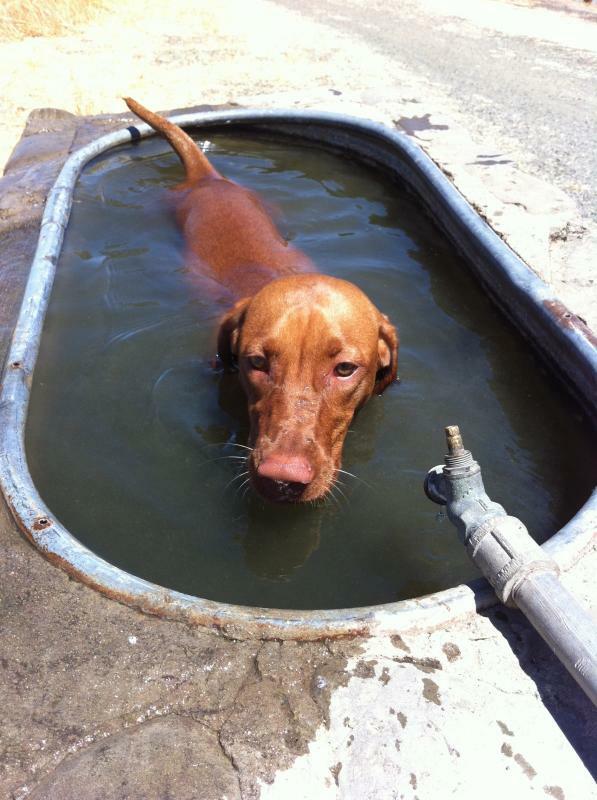 Riley just recently discovered the magical world of horse troughs. I think she was so short for so long that she couldn't see what was inside these large stone creations. About a week ago I encouraged her to put her paws up on the side of a trough and once she figured out what it was she drank plenty of water and then completely jumped in to cool herself! 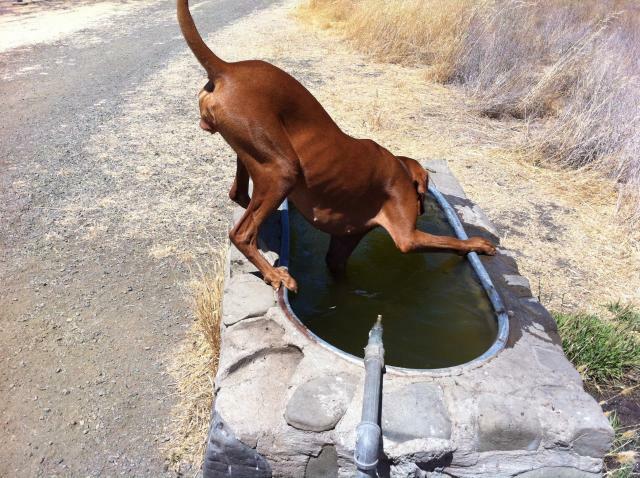 Every hike since then she's had a nice drink and swim in the horse trough right before we head home. 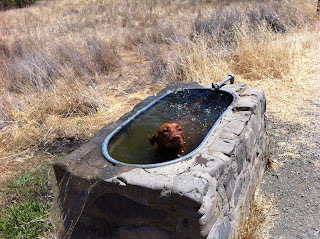 It's a fun reward - she seems to really enjoy it!